Webinar explores aging well, maintaining healthy body & mind. Concierge service offers helping hand. Live a lifestyle that celebrates your independence at every phase. 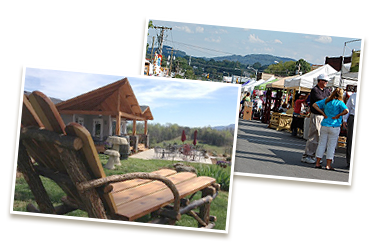 Embrace a vibrant, fulfilling life in the foothills of scenic Western NC. Enjoy health and wellness programs designed for all ages and abilities. An active, healthy and fulfilled retirement awaits you. 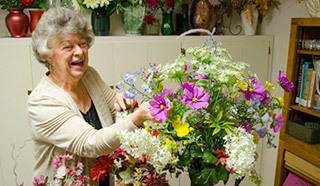 Visit Grace Ridge Retirement Community to see the best life western North Carolina has to offer. Take a peek into life at Grace Ridge! Ever wonder what it’s like to live each day surrounded by natural splendor, doing exactly what you want, when you want? 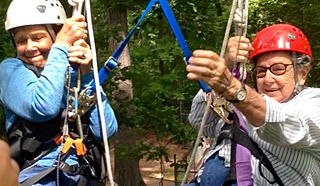 Welcome to Grace Ridge – an intimate and affordable retirement community in western North Carolina that blends active senior living with Southern charm and breathtaking views. Here, the focus is on a fun, lively and nurturing lifestyle, where neighbors become friends and friends become family. With just over 200 residents and everything you need under one roof, it’s easy to fit right in. Quiet streets and bright, open spaces give access to the fresh air and sweeping panoramas of the Catawba River Valley. We’re also situated between Asheville and Charlotte so you’ll have easy access to the best of both worlds – the great outdoors and vibrant city life. It’s no wonder western NC has been called one of the best places to retire. Make the move to a happier life in a location you’ll love. With a variety of services, amenities and activities, you can retire in a place where neighbors become friends and friends become family. What are you waiting for? Make the move to a happier life in the location you love. 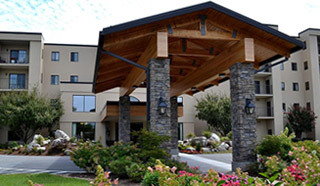 Grace Ridge life is as active or relaxed as you please, with convenient access to a continuum of care. In addition to independent living and concierge services, we offer assisted living, skilled nursing and memory care services. Our residents experience active senior living at its finest. Enjoy a variety of amenities and activities to make life more convenient and fun-filled – from art exhibits and wine tastings to socials and seminars. Nestled in the foothills of the Blue Ridge Mountains and just one hour from Asheville and Charlotte, Morganton offers breathtaking mountain views and mild seasonal weather. Our idyllic city blends natural beauty with small-town community spirit. Morganton boasts scenic rural landscapes, abundant outdoor adventures, unique shopping and dining opportunities, thriving downtown music scene and professional theater. With Nature’s Playground as its backdrop, it’s easy to see why Grace Ridge is the ultimate destination for retirees searching for a superior place to call home.